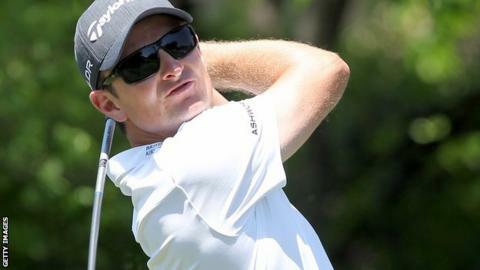 England's Justin Rose finished fifth as JB Holmes won the Wells Fargo Championship in Quail Hollow. Rose's one-under-par 71 left him four shots off the pace, while overnight leader Holmes, 32, also went round in 71 to end on 14 under. He beat Jim Furyk by one stroke, with Martin Flores - another American - a shot further back. Northern Ireland's Rory McIlroy, who carded a 70, finished tied for eighth on five under. Open champion Phil Mickelson, after a third-round 63, slipped out of contention courtesy of a 76 that gave him a share of 11th place. Holmes, who underwent two bouts of brain surgery in 2011, had not won since victory in the FBR Open in 2008, a run of 131 tournaments. "It feels great to be back and great to be out here," he said.